People with schizophrenia have an impaired quality of life (QoL), and various QoL assessment scales are available. However it is not clear which scale should be used in different situations. We aimed to compare a patient-rated subjective QoL scale with an observer-rated QoL scale by measuring their degree of correlation and their respective associative profiles with outcome measures. Patients of the UK Schizophrenia Care and Assessment Program completed a patient-rated QoL questionnaire (MANSA). Research staff completed the observer-rated QoL tool (QLS) as part of an assessment of symptomatology and functioning. The two QoL tools were moderately positively correlated (r = 0.39). 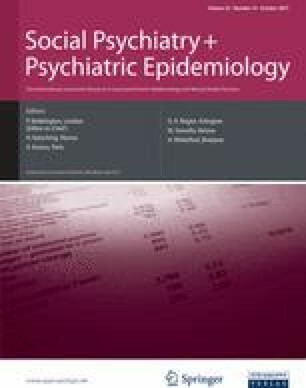 Both scales were negatively correlated with positive and negative symptoms of schizophrenia and depressive symptoms, and positively correlated with functioning scores. However the two scales were influenced by different factors. The patient-rated QoL was more significantly influenced by depressive symptoms, and the observer-rated QoL was more heavily influenced by negative symptoms. Patient-rated and observer-rated QoL are moderately related, with a number of joint determinants, but the former is sensitive to depressive influences, whilst the latter is sensitive to the negative symptomatology of schizophrenia. This study was funded by a grant from Eli Lilly. Site monitoring was conducted by Quintiles (SP) and data analysis by Eli Lilly (DS and JM). The conduct of the study, the analytical strategy and the content of this paper are the responsibility of the named authors who are the guarantors for the study.